Hajime no Ippo Chapter 1255 : Iga's Counterattack!? 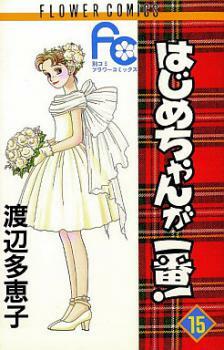 Makunochi Ippo is an ordinary high school student in Japan. Since he spends most of his time away from school helping his mother run the family business, he doesn't get to enjoy his younger years like most teenagers. Always a target for bullying at school, Ippo's life is one of hardship. One of these after-school bullying sessions turns Ippo's life around for the better, as he is saved by a boxer named Takamura. He decides to follow in Takamura's footsteps and train to become a boxer, giving his life direction and purpose. Ippo's path to perfecting his pugilistic prowess is just beginning. 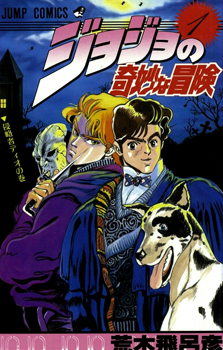 Note: Won the 15th Kodansha Manga Award for Best Shounen Manga in 1991. Hajime no Ippo Chapter 1233 : Where? Hajime no Ippo Chapter 1232 : Shut Up!! Hajime no Ippo Chapter 1227 : Strike the Earth! Hajime no Ippo Chapter 1166 : Movin' On! Hajime no Ippo Chapter 1164 : The Return! 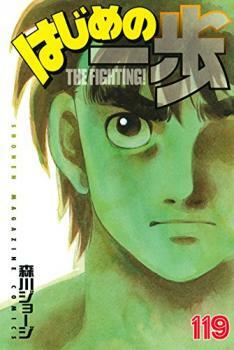 Hajime no Ippo Chapter 1134 : Is on Sale Now!! Hajime no Ippo Chapter 1129 : Wanna Come Live At My Place? Hajime no Ippo Chapter 1120 : Birth of a Conqueror! Hajime no Ippo Chapter 1092 : Who is His Next Prey? Hajime no Ippo Chapter 1082 : Who is The Reaper's Enemy? 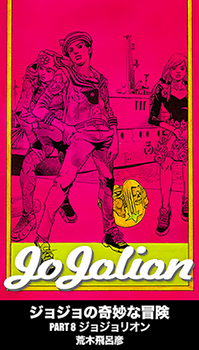 Hajime no Ippo Chapter 1063 : Did You See? Hajime no Ippo Chapter 1058 : What Is the Final Weapon? Hajime no Ippo Chapter 1040 : What's Hidden? Hajime no Ippo Chapter 923 : Did I Say That? Hajime no Ippo Chapter 886 : Now What!? Hajime no Ippo Chapter 884 : Right there...! Hajime no Ippo Chapter 846 : A New Life! Hajime no Ippo Chapter 837 : An Accident? Hajime no Ippo Chapter 811 : The Reason MIYATA can't beat RANDY is...? Hajime no Ippo Chapter 792 : Go for the Throne! Hajime no Ippo Chapter 787 : I can see! Hajime no Ippo Chapter 775 : The Arm Extends! Hajime no Ippo Chapter 764 : Different from before! Hajime no Ippo Chapter 762 : Extending? Shrinking? Hajime no Ippo Chapter 708 : The next point? Hajime no Ippo Chapter 668 : Conquered weakness!? Hajime no Ippo Chapter 638 : Where's the weakness? Hajime no Ippo Chapter 600 : Overcome the pressure! Hajime no Ippo Chapter 578 : Wandering without a tomorrow? Hajime no Ippo Chapter 510 : Winds! The fishing boat Makunouchi! Hajime no Ippo Chapter 452 : Lies or truths? Hajime no Ippo Chapter 401 : "Prize Fighting" and "Boxing"
Hajime no Ippo Chapter 323 : Reach, My Feelings! Hajime no Ippo Chapter 286 : If This Fist can ReaChapter ..
Hajime no Ippo Chapter 271 v2 : Help! Hajime no Ippo Chapter 262 v2 : Surpass the Past!! Hajime no Ippo Chapter 212 v2 : Control the Pace! Hajime no Ippo Chapter 154 v2 : I Want to Be a Gazelle! Hajime no Ippo Chapter 136 v2 : Quit or Not Quit!? Hajime no Ippo Chapter 110 v2 : Followers!? Hajime no Ippo Chapter 89 v2 : I Love Sticking to Someone! Hajime no Ippo Chapter 63 v2 : Is this a Seed Mix Up? Hajime no Ippo Chapter 33 : It's Working or It's Not Working? Hajime no Ippo Chapter 21 : Doctor Stop!? Hajime no Ippo Chapter 20 : God! !